Come on out and party like there’s no tomorrow. via The Rock Shop Farewell. July 6th – SoBe ROCK INVASION IV !!! 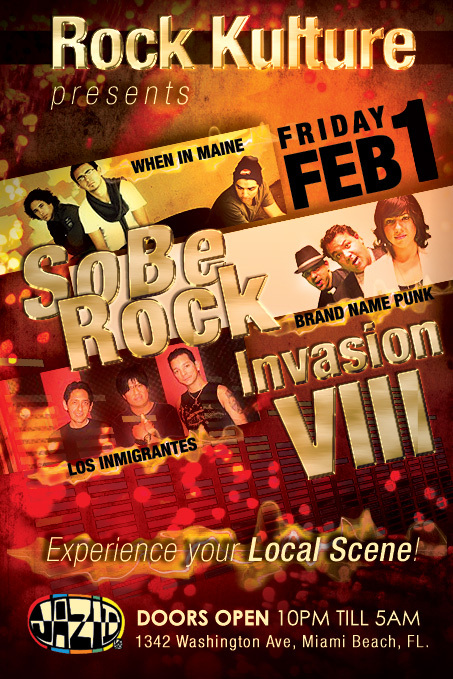 via SoBe ROCK INVASION IV !!!. Live Rock all night downstairs! DJ’s upstairs! via SoBe Rock Invasion III. via URBAN REBEL + REVOLUTION + KILL THAT ROOSTER. Here we go again !!! SoBe Rock Invasion part II. Another great night featuring some of the best bands in town. Let’s have a hell of a Pre-Cinco De Mayo party !! 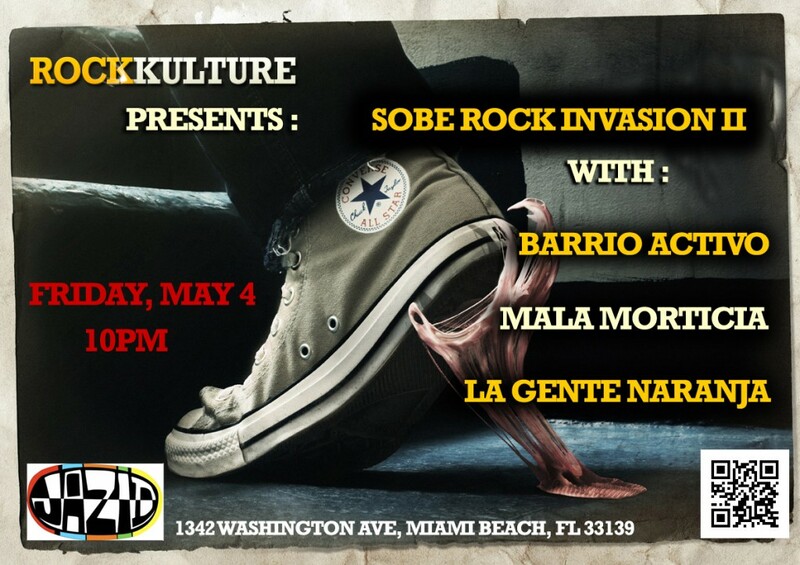 via SoBe Rock Invasion II.